Original Philips M5070A Battery is used in the HeartStart OnSite and FRx AEDs. 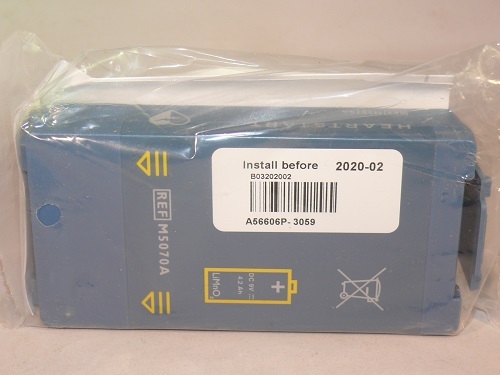 The M5070A replaces Philips HeartStart OnSite M5066A and HeartStart FRx 861304. The M5070A is designed for 5 years in the AED, 10 year shelf life and is warrantied for 4 years with Philips.